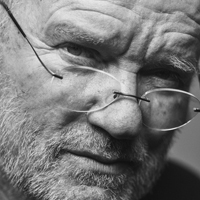 Peter Lindbergh is one of the most remarkable contemporary photographers of our time. As a visionary, he shakes up the codes of post-modern fashion photography integrating to his compositions a new image of women: in these works, women are modern, far from old-fashioned codes of beauty, and he gives no importance to clothes. Since the end of the 1970s, Lindbergh has been working for prestigious brands and magazines, especially the American, Italian or German editions of Vogue, the American edition of the Harper’s Bazaar, and magazines: Rolling Stone, Vanity Fair, Wall Street Journal Magazine, Visionaire, Interview and W.
The twenty-two photos presented during the Planche(s) Contact Festival through a monumental exhibition are the representation of a significant encounter between a place and the artist. The facility called Le Deauville de Peter Lindbergh (Deauville by Peter Lindbergh) is the first open-air exhibition of Peter Lindbergh and will be placed on the same location in which his photos have been taken: Deauville's beach. "The photographers’ responsibility today is freeing women, and other people too, from the obsession of youth and perfection."